“One of the things that really drew me to the opening was that it was so bold. And I thought, ‘If we’re gonna set the mood for what is certainly in the first half of the film is a pretty slow burn with something as graphic and gory, it should still have the stillness of imagery to really let us focus … and really let us settle in that moment on the characters,” Tammi told me in a recent phone interview. After co-directing the documentaries “Election Day: Lens Across America” (2017) and “Fair Chase” (2014), Tammi made her solo directorial effort with “The Wind,” the first feature penned by screenwriter Teresa Sutherland. 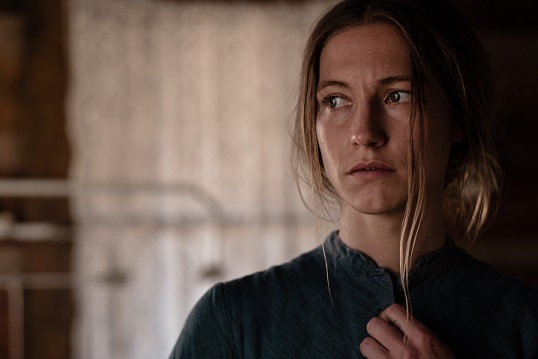 The movie finds horrific inspiration in real-life stories of women trying to weather the hardships of the American frontier. “The premise is so compelling because not only was that theme of isolation so strong – and I think like inherently kind of horrific – but the fact that the script then took it to a much deeper horror space, I thought was really interesting and kind of an organic progression of what the character was feeling. Also, just revisiting that period of time which is so different than the one we live in right now and yet not that long ago. It’s kind of insane: I grew up in New York City and I live in Los Angeles now, and my mom’s from Oklahoma City and even going there a bunch growing up, these are all very populated areas. I just found something really engaging about getting into an environment where you saw so few people and trying to imagine what that might be like,” Tammi said. Tammi opted to use iconic cinematic imagery – the lone cowboy riding across the prairie on horseback with the sun setting behind him, for instance – but to turn the story’s focus on the women who helped settle the West, instead of the men. “I was so excited to dig into a Western in general because I think that’s such a fun genre and certainly one that I grew up watching. It was as exciting to me as the horror genre component of the film. What I thought was so great about Teresa Sutherland’s script was that she just basically turned the camera 180 degrees and just stayed with the women on the homestead. In some ways, it feels like such an obvious thing to at least make a couple of movies about not following the men into town and what were the adventures happening on the homestead – and yet I had never seen that movie before. So, I thought it was so simple in terms of its reinvention and really made it feel fresh and exciting to do,” Tammi said. Tammi lensed her Western chiller in New Mexico, where she filmed the distance runners documentary “Fair Chase.” Her experience on that film was one of the reasons the producers brought her Teresa Sutherland’s “The Wind” script. “Just straight out the gate, one of the reasons Chris Alender, one of our producers, had originally asked me to read the script was he really felt like this should be directed by a female,” Tammi said. 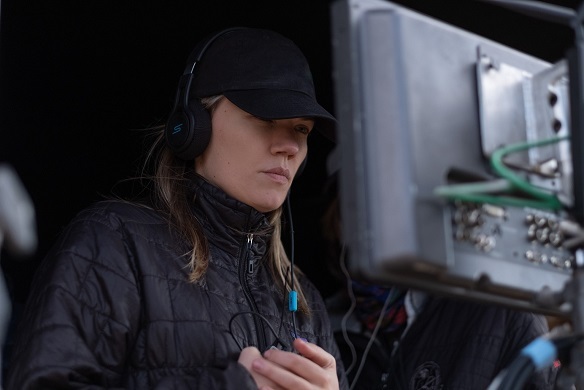 Along with a female director, screenwriter and lead actor, the movie had women in several other key roles, including film editor Alexandra Amick, production designers Hillary and Courtney Andujar and set decorator Elsbeth Mumm. “The Wind” is currently in theaters.